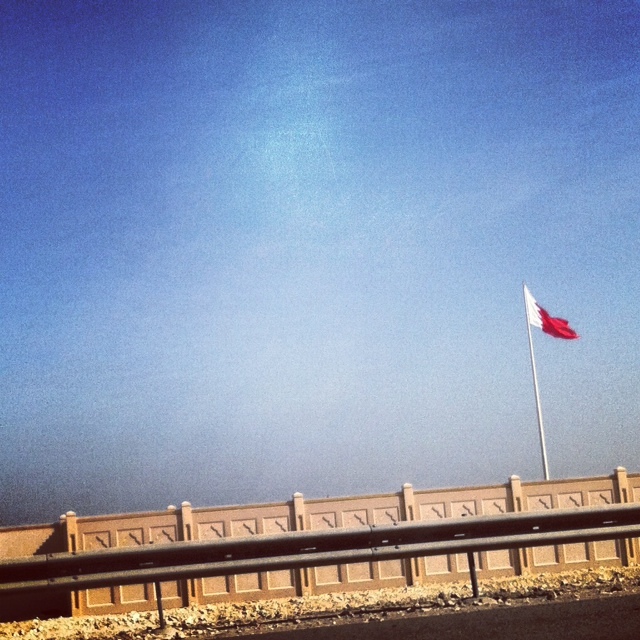 On the eve of Bahrain's National Day, I reminisce on the past year and a half and shudder at what could have become. 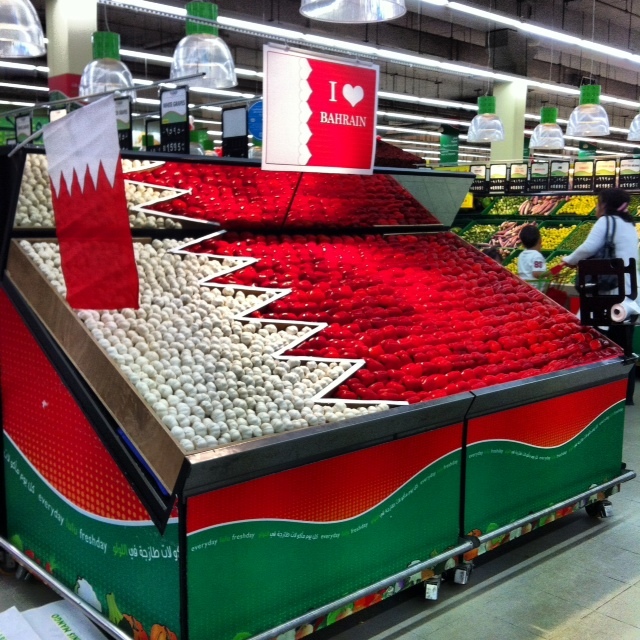 The revived love we all have for Bahrain is expected - the past 20 months were gloomy. Negative publicity, unfair coverage, and the fact that we 'silent majority' were truly ignored (no surprise there) resulted in a frustrating and tense period. 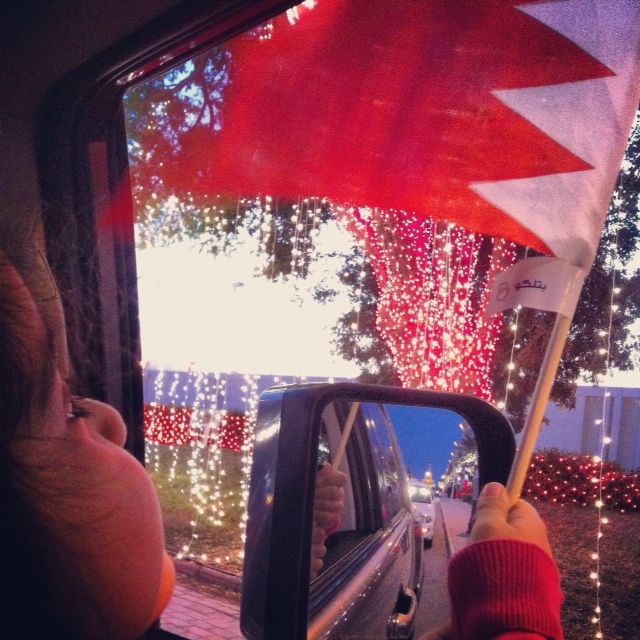 Bahrain's National Day was always a happy occasion - children celebrate with concers in the schools, the flags adorn houses and all organizations, lights line the streets and the entire island is festive. The decorations last till new year's day and driving through the streets of Bahrain becomes a joy for both adults and kids. Since the protests began it was noticeable that people put in a bit more effort to really vocalize their undeniable love for Bahrain. National Day parties became common, more people would wear shirts and scarves with emblems, decorate their cars, and OTT home decor was smiled at rather than frowned upon. Shortly after the protests I hung a flag outside my house (until a gust of wind knocked it off). I put it up with pride and my daughter would always point and comment when she sees it. 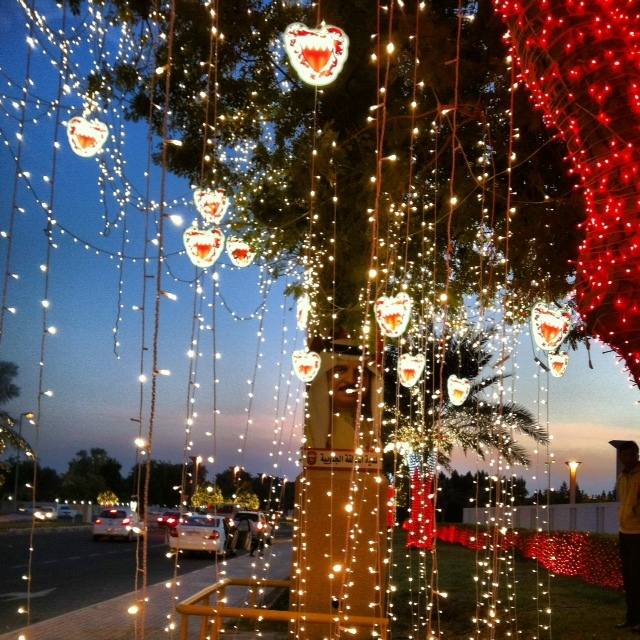 So driving around the streets of Bahrain will show you the love and the patriotism - the number of lights and dangling emblems will put a smile to your face. 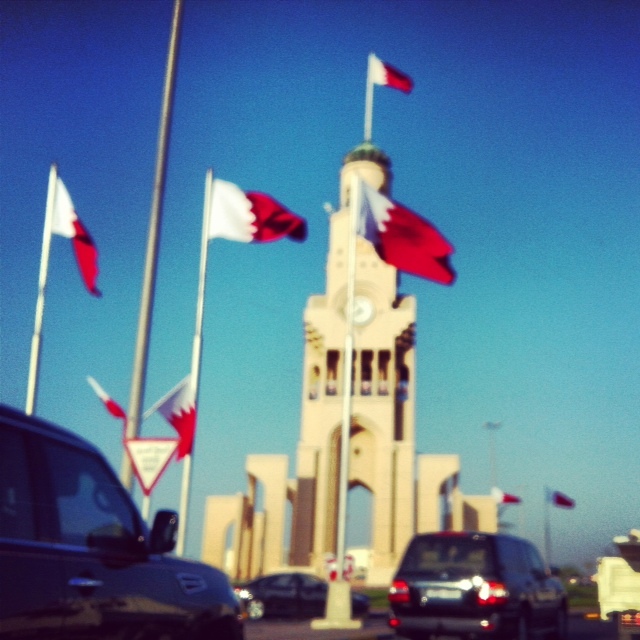 I lost count of the number of flags I saw just on the road leading to Clock Tower in Riffa. This flag is apparently the size of a tennis court and flutters proudly from the King's residence. 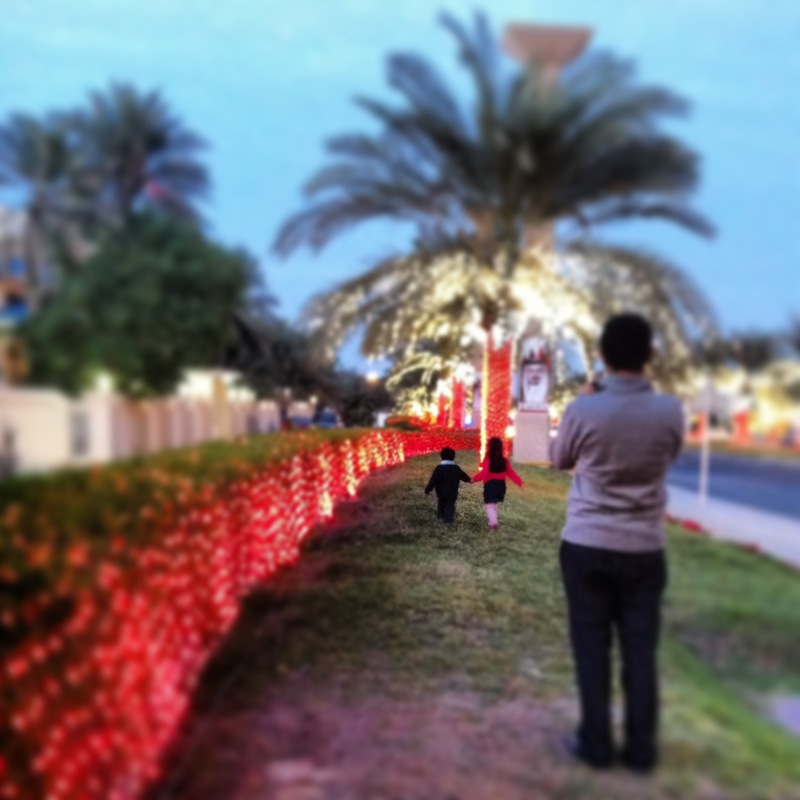 Earlier this evening, we stopped by the lights in Riffa so the kids can run around and my son's first reaction: WOW. As we left, my daughter asked for her flag (which I got from a Batelco store this morning) and waved it out the window saying: "Mama, this is a happy holiday." Amen. 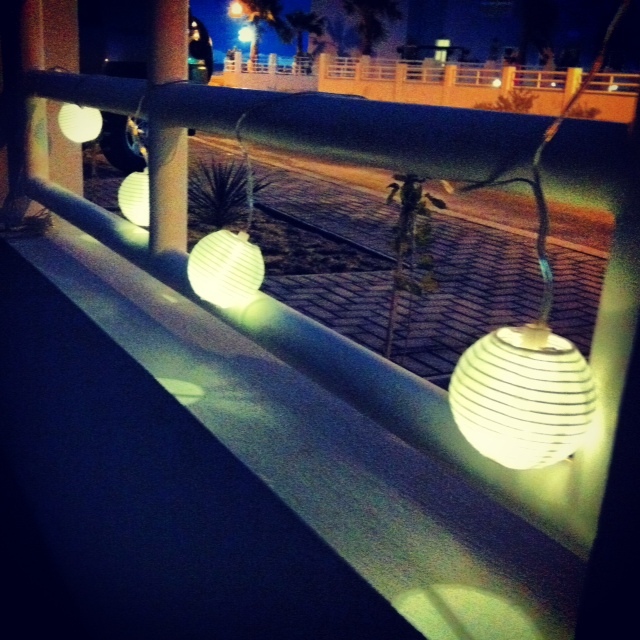 May Bahrain always be happy and safe. 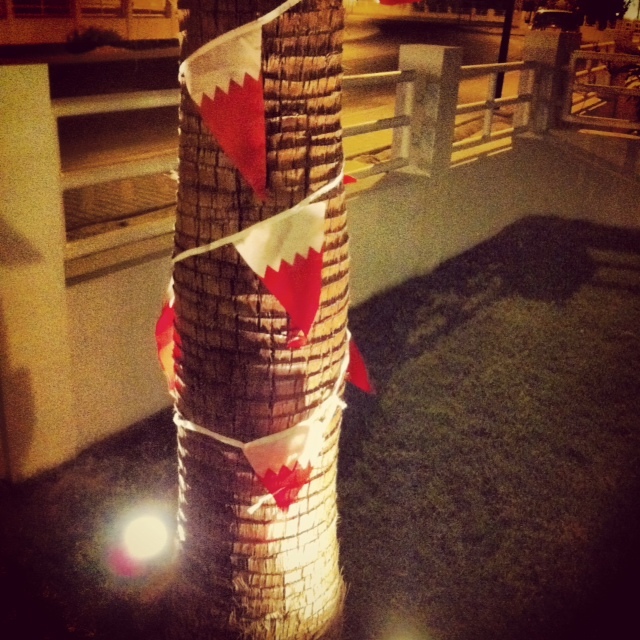 Happy National Day my Bahrain!